Over six months ago, Hurricane Irma made history as one of the most devastating storms to strike the state of Florida. From Cudjoe Key to Jacksonville, millions of Floridians felt the impact of last year’s disaster, not only from the damage and loss of life it left behind, but with the massive evacuation of people it required ahead of impact. In the days leading up to September 10th, over six and a half million Floridians – roughly one third of our total population – took to roads to get out of harm’s way. As emergency managers, we know any mass evacuation is challenging and complex. We also know we must improve after every event like this, particularly when it comes to making sure fuel is available. With this year’s hurricane season fast approaching, now is the time to apply lessons we learned from Irma and proactively plan for the evolution of transportation we expect to see as we move further into the 21st century. In February, Florida took an important step in this direction. Responding to recommendations from Florida’s Department of Transportation, Governor Rick Scott directed improvements be made on state evacuation and fuel capacity procedures. During future evacuations, emergency shoulder use will be expanded, more digital signs will display information, and additional options will be considered for fuel distribution. Construction widening the Florida Turnpike and other major routes will also be prioritized. Reforms like these will begin to alleviate some of the challenges we faced during Irma and make evacuations faster and more efficient. Our experience during Irma already shows what is possible. After anticipating challenges with fuel availability, we partnered with GasBuddy, a company that provides a free app designed to help users locate gas stations and fuel prices in real-time. As Irma approached, GasBuddy made color-coded maps available to help residents identify which gas stations were out of power or out of fuel during the evacuation. Smartphone technology provided users with a way to report new information back to others, further enhancing the value of this network and providing us with key data about the status of fuel inventory across the state. But tech isn’t enough. Moving forward we must couple innovations with real-world actions that expand beyond Florida’s newly announced plans. For example, we must look for ways to provide incentives for more gas stations to remain open during evacuations and encourage owners to have generators so they can stay in business during prolonged power outages. 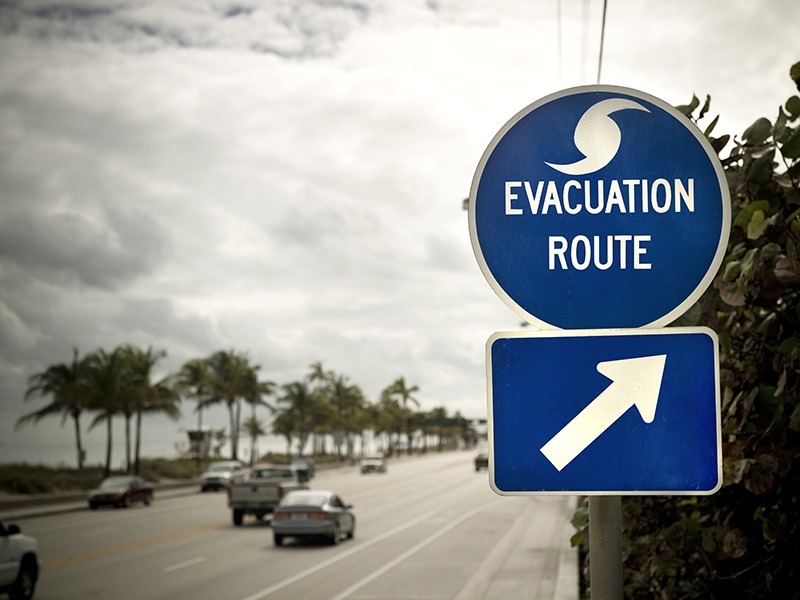 Emergency managers must also review current evacuation plans and shelter availability with an eye toward reducing the distance needed to travel to safety. Finally, we must do a better job communicating with residents before disasters, ensuring they know their evacuation routes and take the actions they need to prepare for the challenging realities of a mass evacuation. Doing so will ease traffic and stress associated with evacuations. We must also plan for the future. In the coming years, our transportation networks will change dramatically. Electric vehicles are poised to become the norm in the very near future, with reports predicting battery powered cars will represent the majority of vehicles on the road by 2050. This revolution will require us to continuously reassess planning for evacuations. For starters, a reduction in a demand for fuel will eventually lead to fewer gas stations, and a need for more charging stations. Are we taking adequate steps to prepare for this reality? Last year’s hurricane season reminded all of us that preparing for disasters isn’t just an academic exercise. The threat of disasters is real and will only grow in frequency and severity over time. The good news is that we are not powerless against this challenge. As tragic as Irma was, it has given us an opportunity to make important improvements on how we prepare for the worse. If we’re wise, we’ll do so now because it’s not a matter of if, but when, it’ll happen again.